"The People Of The Longhouse"
Onondaga lake was a very important resource to the Haudenosaunee tribe. 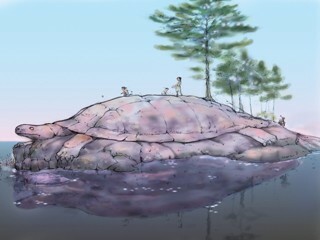 It is where the 5 nations; Cayugas, Oneidas, Onondagas, Senecas, and the Mohawk made peace. 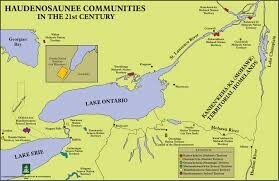 They buried their weapons and started the Haudenosaunee Confederacy right on the shores of the Onondaga lake. In the early 1700's the Tuscarora Nation joined the confederacy because of the European colonists, to create the 6 nations. Seeing all the trees and the water around Onondaga Lake it made me think back to when the Haudenosaunees used all the resources the land gave them. How all the people of the longhouse made peace there and buried their weapons of war. I wonder i the buried weapons are still there!? This picture is a wampum belt. The Haudenosaunee made them out of beads. They were used to tell stories.